Today Minneapolis joins other cities in celebrating “Indigenous People’s Day” a time to honor the original people of this land as opposed to celebrate it’s invasion by Christobal Colon (Columbus) and the following genocide the he personally initiated. Not that many years back, I was appalled at the idea of white privilege. I knew how hard my dad had worked to turn a run-down farm into a place of beauty. I knew how his family had been dustbowled off of the Nebraska plains and how both his parents died when he was only 16 years old. White privilege? No way! He worked hard for everything he got. To me, “white privilege”seemed like a way to blame white folks for what they had achieved; make us feel guilty and let minorities play the victim and blame others for their own failures. Then my world turned upside down. Moving from the farm into the city and from a mono-cultural to a multi-cultural society, opened my eyes to many realities. I began to see and feel how real racism, prejudice and discrimination are, even in this modern, Obama era. Let me give you a small example; I could drive with a cracked windshield and not worry about getting stopped; while my black/brown brothers would not take a similar chance. They had learned that plenty of prejudiced police are looking for any reason to stop and question them. I know some reading this will dismiss this example and say, “I’m sure they did something wrong to get stopped.” For years, I tried to say that, too. But after enough experience with my friends of color, I could not continue to believe that racial profiling and unequal treatment were simply a matter of an overly sensitive imagination or victim mentality. A significant part of my journey to understanding began with the awareness that white privilege is NOT about me getting something I didn’t deserve – but about some people (because of their race and culture) NOT getting the same opportunities. First hand experiences have shown me that White Privilege is not a ridiculous tool used to blame whites and excuse minority failure, nor is White Privilege just about a few isolated individual experiences. White Privilege is a social reality that is the cumulative result of the consistent institutional and social rewards that whites give and receive, usually without awareness or intentionality. Simultaneously, these “rewards” are frequently, passively or actively, NOT afforded to blacks and other minorities. In short, not everyone gets the same opportunities or respect in day-to-day life. We all can cite a time we got unfair treatment, but for non-whites, across the social spectrum, this in-equality is something consistently experienced, resulting in fewer opportunities and more disrespect. White Privilege took on new meaning when I met Les. Les is a “First Nation,” Native American man, or as he calls himself, an American Indian. When I first met him in the back alley of our church, he was pushing a grocery cart full of crushed cans. Les never saw himself as unemployed, he had a job, “canning.” Now if you grew up gardening, you might think you know what canning is; this is not what I’m talking about. Les’s job was picking up and recycling cans from off the streets. In addition, Les never saw himself as homeless; he bragged that he had a “great camp site” where he stayed with a group of friends under the raised part of interstate 394 near Dunwoody Institute. Les had a passion to follow Jesus. He had faith and love for God and others, a profound knowledge of scripture, and he was a chronic alcoholic. For over a year he seldom missed church on Sunday, and usually came by a few times during the week to talk over a cup of coffee and conversation, to pray, read, and maybe take a shower. During these times Les and I often shared stories of our life. Les was an amazing storyteller. I began to realize that as different as our lives are today – there was a time when our ancestor’s histories overlapped briefly, and then began to move in opposite directions. In the 1870 – 1880’s, a young man named Jorgen Jensen was looking for new opportunities in life. Life as a farmhand on his small Danish Island did not appeal to him. The German chancellor, Otto Von Bismarck, had conquered that part of Denmark, and Jorgen, a proud Dane, did not want to serve in the army of the Iron Chancellor of Germany. Jorgen had heard about the promises of America, and even though he had never heard of Nebraska, he decided to risk all. Perhaps he saw a poster at the church, town hall, or maybe a notice in a local paper, promising cheap, yet fertile land in America. Leaving his fiancé behind, he made the journey and began farming in Nebraska. After a few years, his wife-to-be joined him inestablishing their home. They were the grandparents of my father. Jorgen worked hard and nothing was given to him. He could have died in the harsh conditions. His first winter in Nebraska was the same harsh winter Laura Ingalls Wilder wrote of in “The Long Winter.The snows that year came early, blizzards were frequent, the cold was extreme and many prairie settlers perished. Jorgen had to bring his horse into his home which was dug-out into the hillside to keep them both from freezing to death. In later years, Jorgen’s son took over the farm. During the dustbowl/depression years he and his family struggled to survive. Drought conditions left them with no crops year after year. During WW2, many family members left for military jobs in Seattle. My dad’s family eventually left the farm in Nebraska to move to Iowa. The pioneer spirit, which was born from opportunities and challenges, persevered and was passed on generation to generation. The family learned how to succeed, even in the midst of hardships Jorgen’s grandson also knew that same optimism and drive. It was that faith in hard work and fairness that my dad passed on to me. In the 1870’s war and political ambitions were being waged inthe USA which also transformed Nebraska. All states west ofthe Mississippi River were being cleared of the native “Indian” population. This was done by treaty and by war; and the United States Government always got its way. During this time, Les’s great-grandparents, like mine, were going through experiences that would change their lives and the lives of their offspring forever. To make room for new settlers from Europe, they were forced off their land. A way of life they had known for generations was destroyed as they were forced to live on reservations where their life and culture were stripped away. 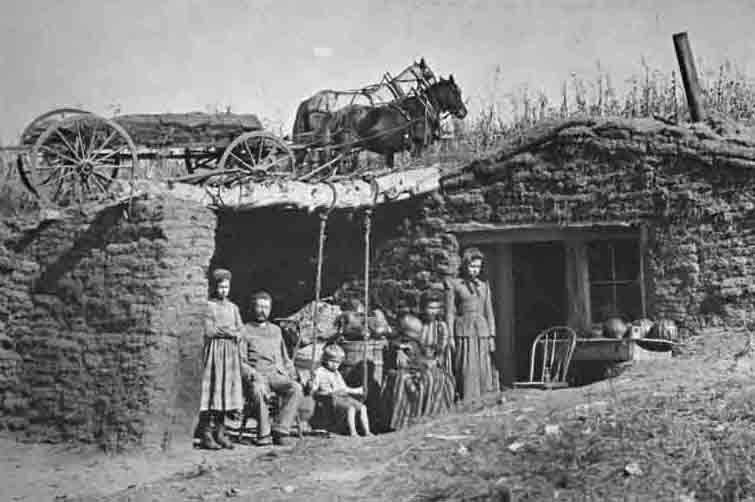 These families, unlike my grandparents, had no opportunity for risk, reward and adventure; they were forced into the conditions of a conquered people. Christian missionaries were sent as agents of the state to “domesticate the savages.” To accomplish this, children were forcibly removed from their parents and sent to boarding schools. Here they were punished for speaking their native language and the European-American lifestyle was imposed them. 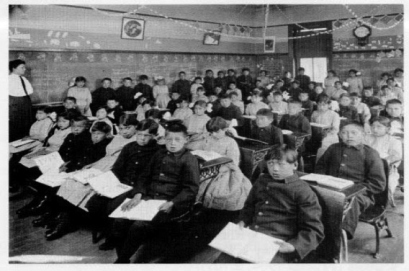 The stated mission of the boarding schools was to, “kill the Indian and save the child.” Native children were not allowed to feel pride about their ancestry, yet were denied citizenship in the new country to which they were expected to assimilate. Neither equal protection under the law, nor love as fellow humans was extended to Les’s family and the millions of others from the First Nations of this land. This was not a mission of Jesus’ love and grace, but of enforcing a national goal of manifest destiny via conquest and removal. The result was anger, shame and frustration. To this day the feelings of inferiority and resentment continue to besiege life on the reservation and are at the heart of the high levels of depression, poverty, chemical abuse, and suicide. Les’s grandparents loved and cared for him, yet were unable to give him the optimism and faith my grandparents passed to me. This is the legacy of a nation structured around the principles of racial myth and the resulting privilege that is bestowed on those of the dominant group. On the plains of Nebraska, this drama unfolded as it did over and over across the nation. The opportunities, challenges, and sense of worth that my great-grandfather gained from cheap land and a welcoming community came at direct cost to Les’s family. They paid through pain, loss of pride and identity. Optimism and faith shrivel and wilt where depression and despair take root. White privilege cannot be dismissed as just a term used by the liberal elite. It is a reality and a key concept to understand the racial and class dynamics we see around us today. If you are a white, European American like me, use this Indigenous People’s Day to reflect on your place in this land, and your role in helping seed justice and peace where the weeds from the lie of “Discovery” have taken root and grown so high.